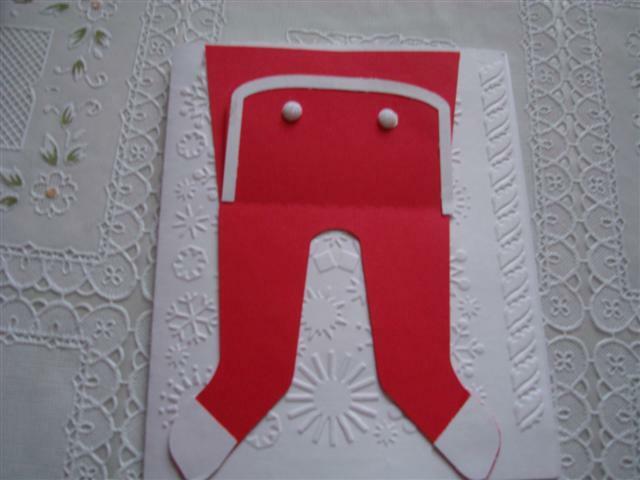 The long john file designed by Trish can be used however you want it can be a card or tag- be creative. Feel free to modify. You can also use any other long john file you create or buy. Only share original work if you choose to share. 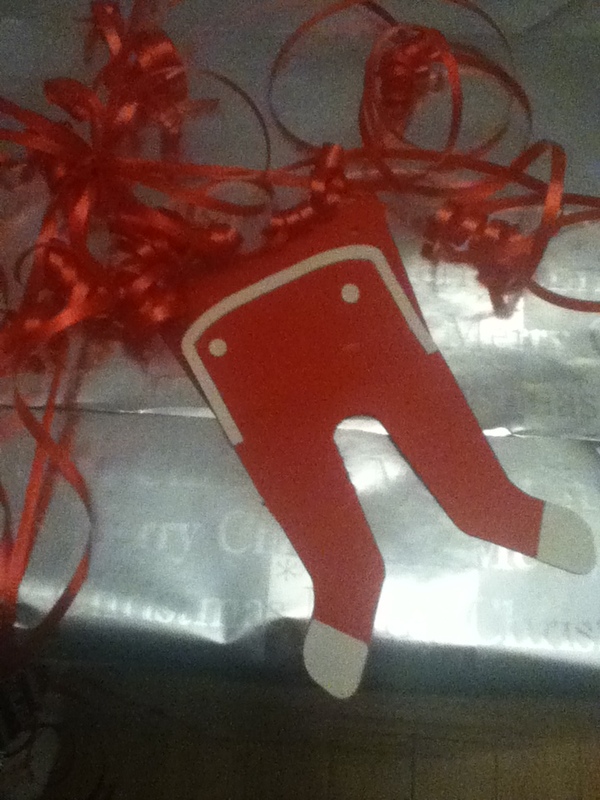 I made my long johns into a gift card holder. 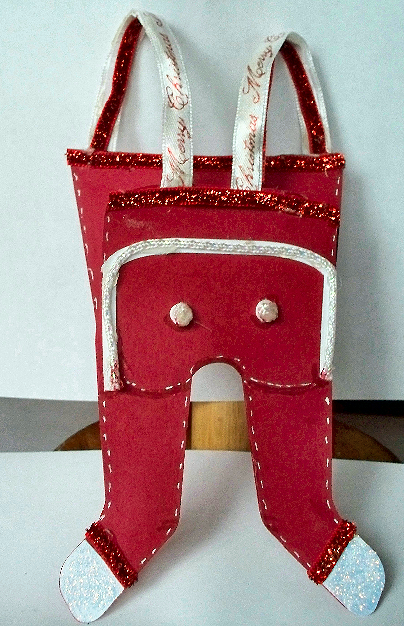 I used some sparkly paper from Recollections Signature Paper for the pocket, buttons and toes. Added a bow to the corner. I wasn't sure how I was going to do this project but I love how it turned out. So cute, Cynthia. Great job! 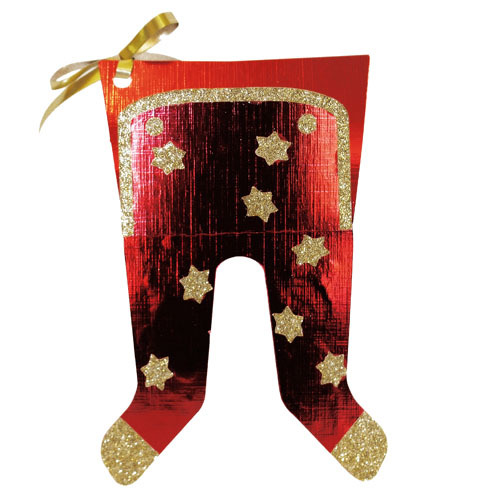 I made a gift tag with red foil card and added gold glitter paper star shapes. Here my take on the file. I really like the brad I found to use that are little buttons. 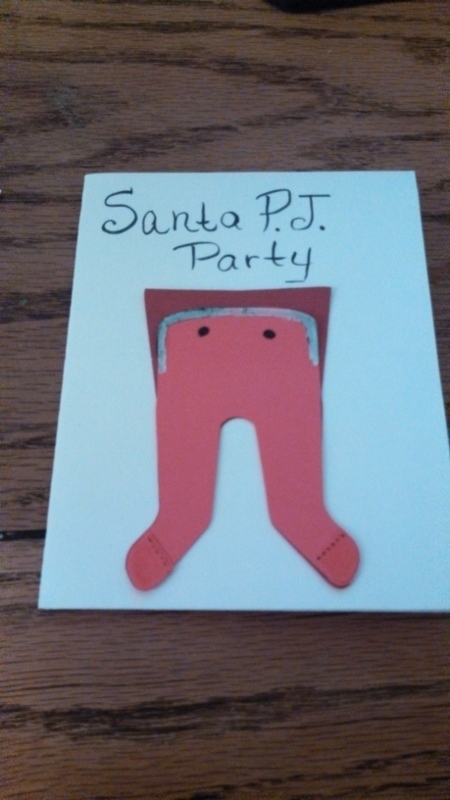 I have the long johns and saying raised to add dimension to the card. @CraftyGirl did you put a cute little message inside the long john flap? So cute! I need to get mine done. 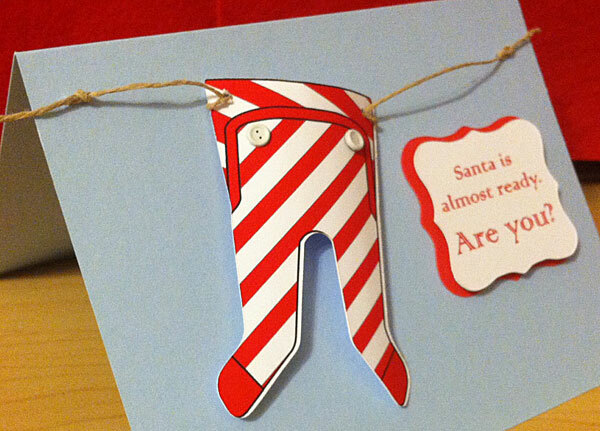 I am trying to get some gifts done that need to ship out first. @ImaCutter I didn't put a note inside (great idea). I did it as a print and cut. I did it as a single piece and just "hung" it. I'll have to make some more with messages in them for the grand kids. 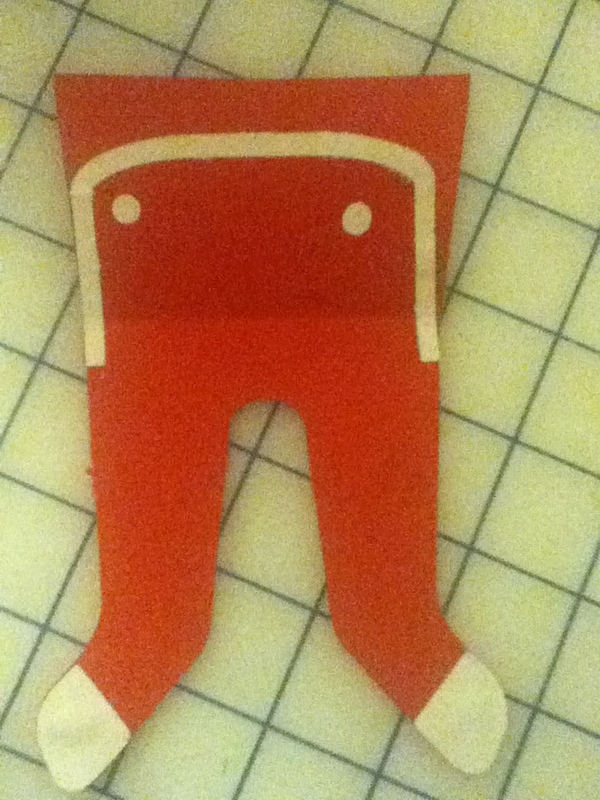 I did mine as a gift card holder. Love everyone's longjohns! 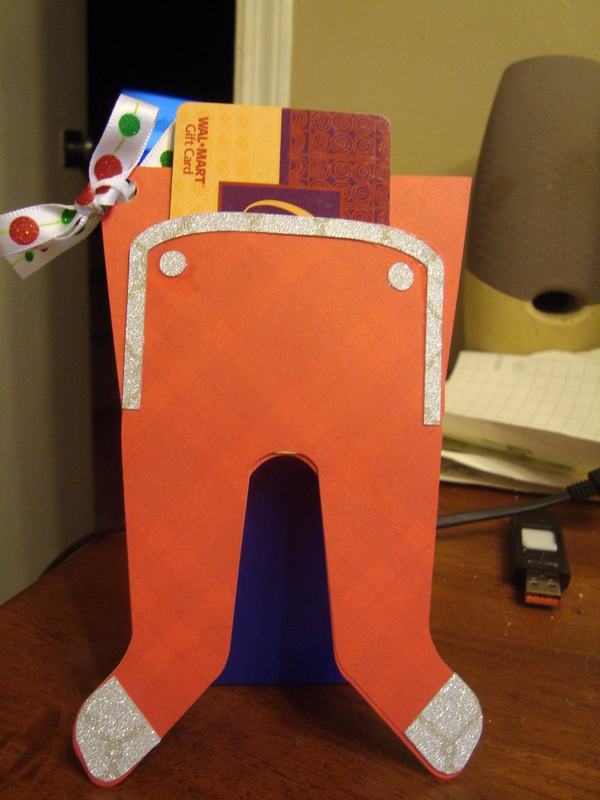 I used the longjohn file to make a card to hold a gift card. 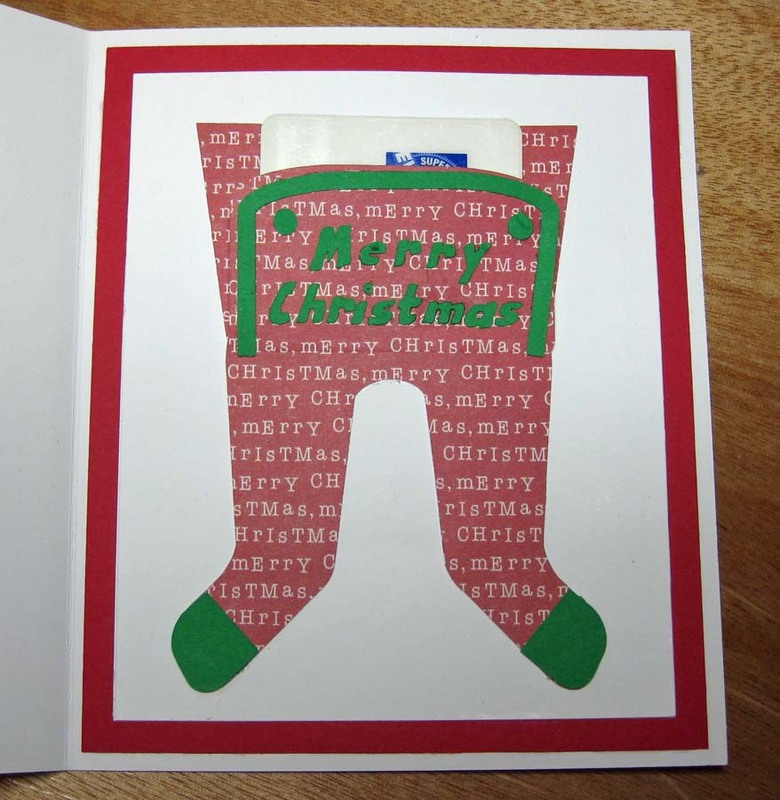 The front of the card is a print and cut from a Trina Clark file. There's an extra white layer behind the longjohn with a slit in it so the card will slide down in. 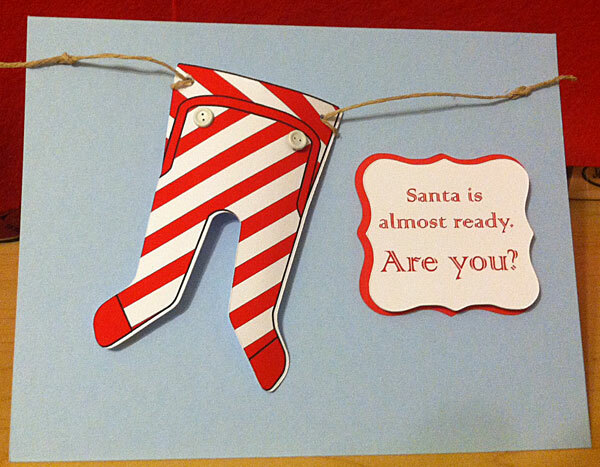 so, i just realized that the only thing that is really unique is the use of the completed long johns and the sentiment...I was thinking that it would be great to make these for all of the adults in the family, but i just don't have enough time, so i am putting it on my husbands gift--as a tag. 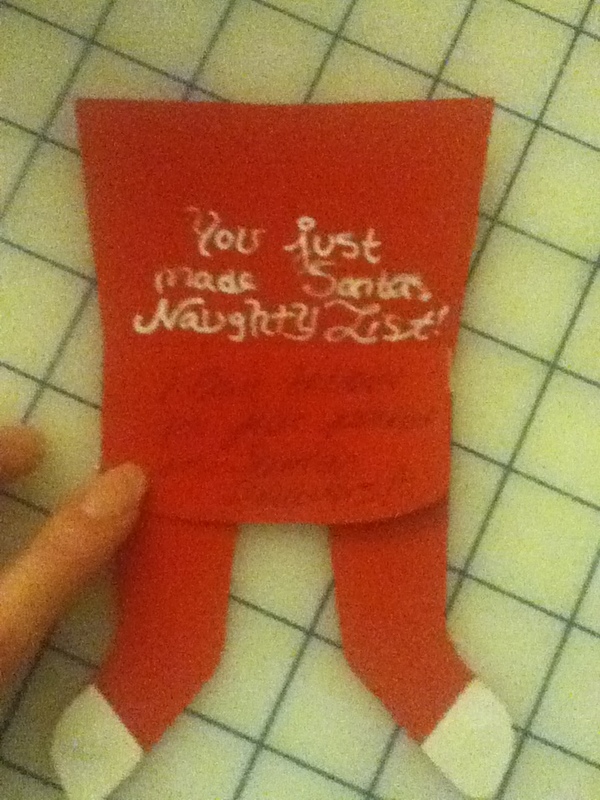 Not sure if you can read, it says "you just made Santa's Naughty List!" 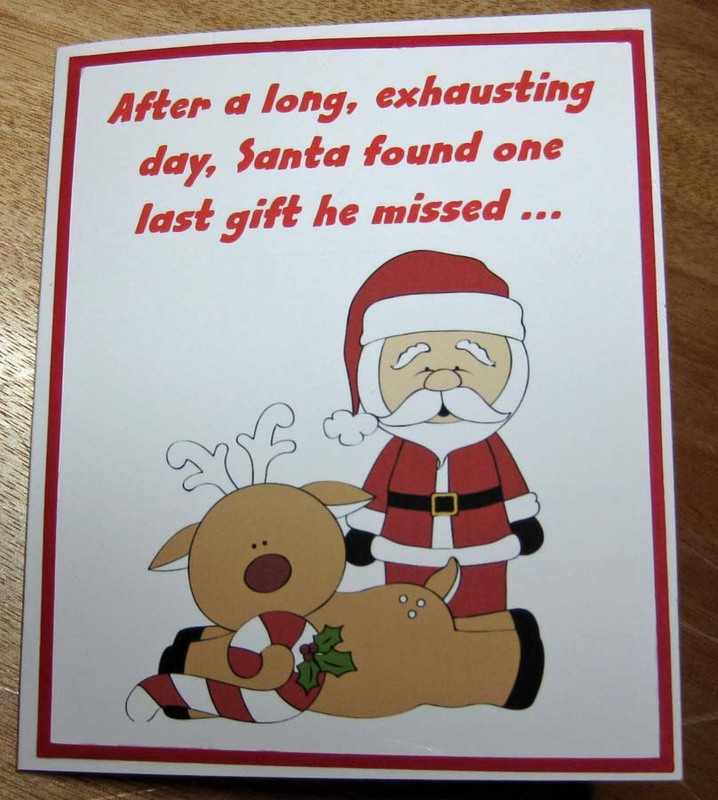 and below in pen i have written "I can't believe you peeked in Santa's Drawers!!" 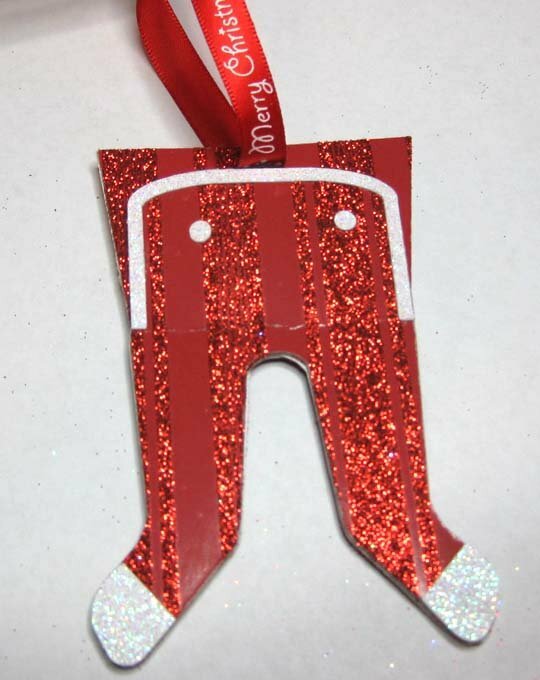 Decided to make my second longjohn be a glittery tree ornament. Well, I am squeaking in under the wire here. But I did it! Why did I leave the simplest one for last? 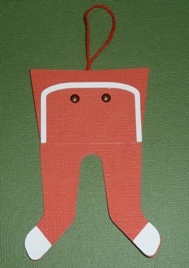 I made mine as a gift tag, the recipient's name will be tuck into the flap. I think my brad "buttons" are too close together, oh well. And the winner is @Jenni ! Congrats! You will be getting a PM or email with more info. congrats @Jenni. I love the projects everyone made. I had no idea what to do with this file.